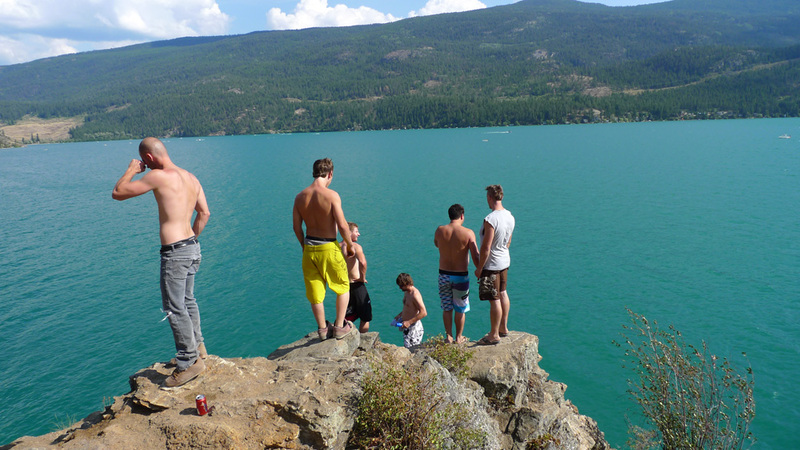 Hooked up with the MacNeil and Ten Pack teams for part of the Ten Pack Re-session tour through the interior. 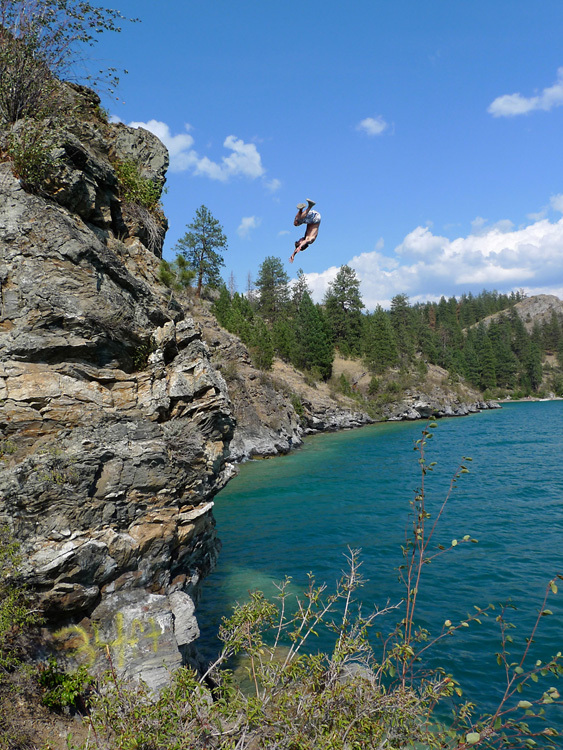 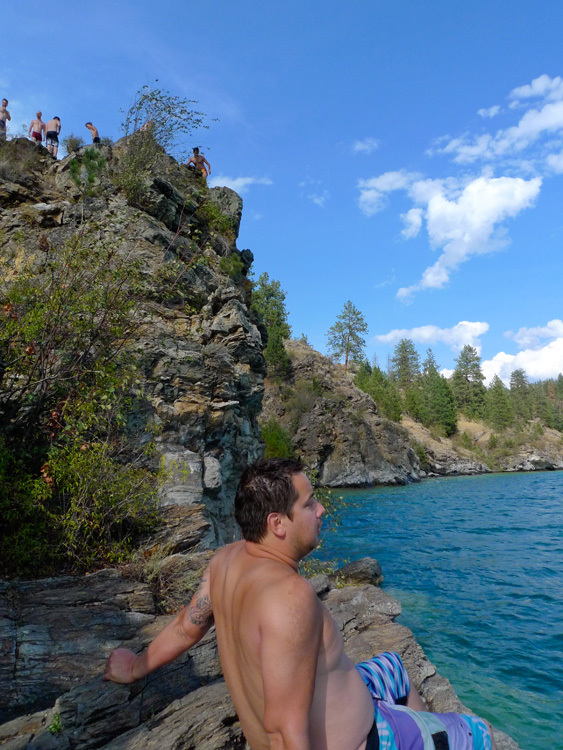 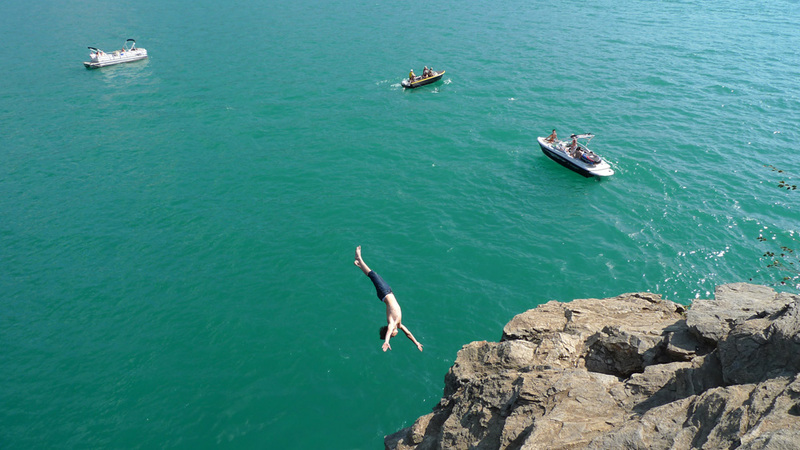 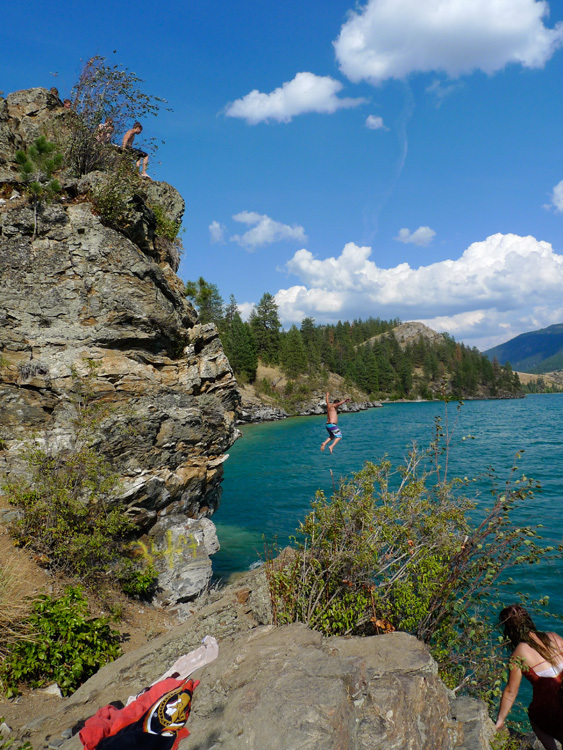 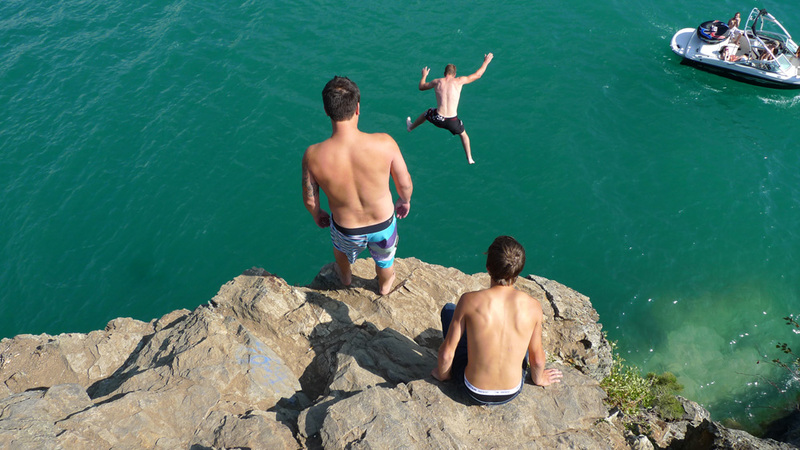 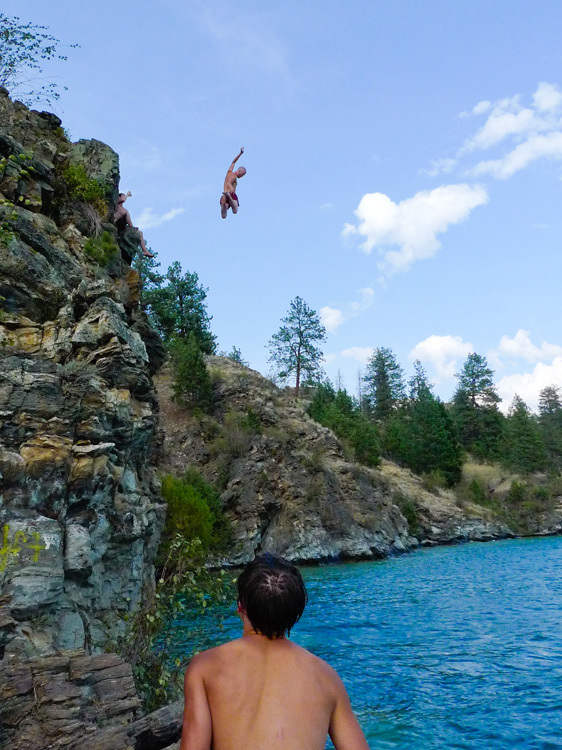 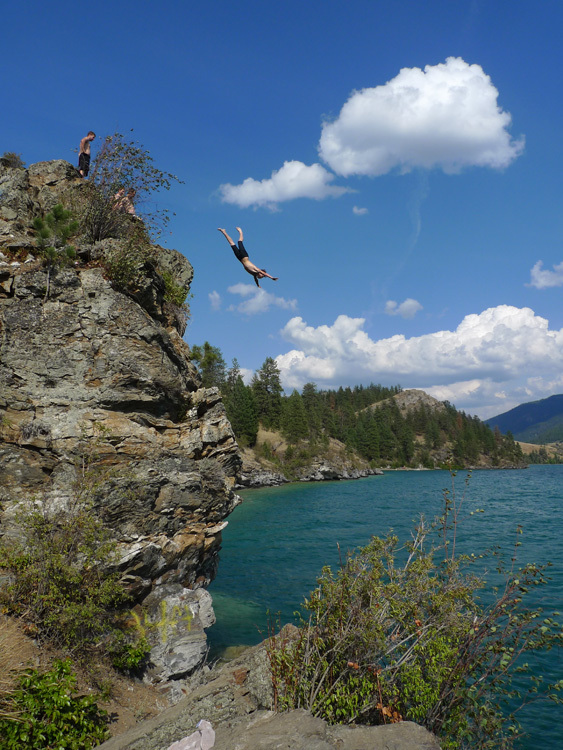 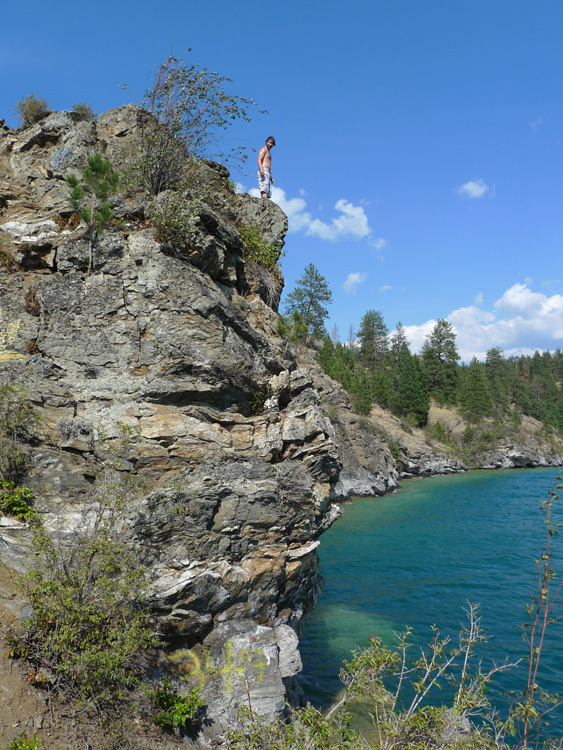 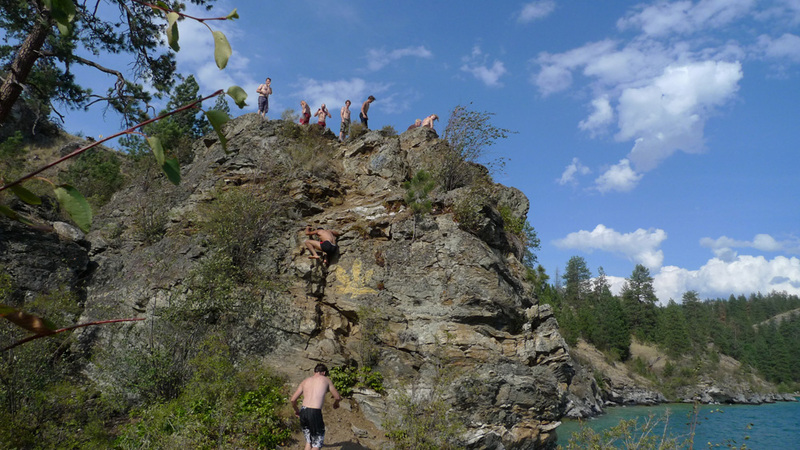 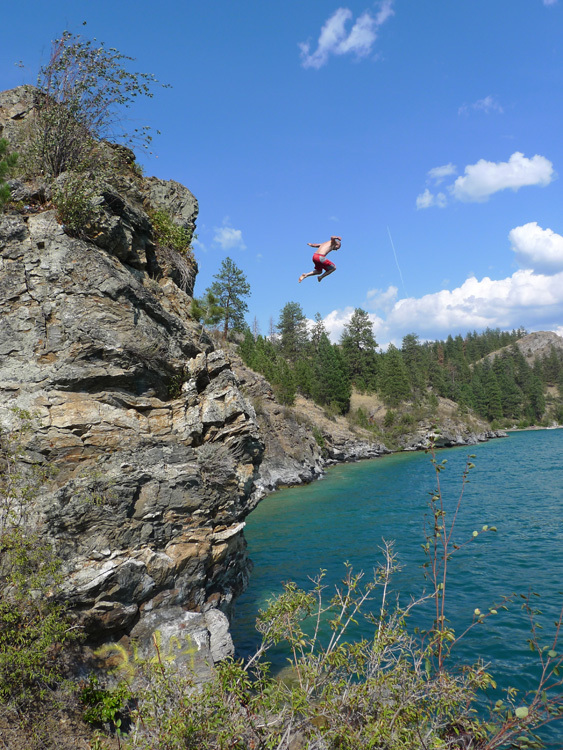 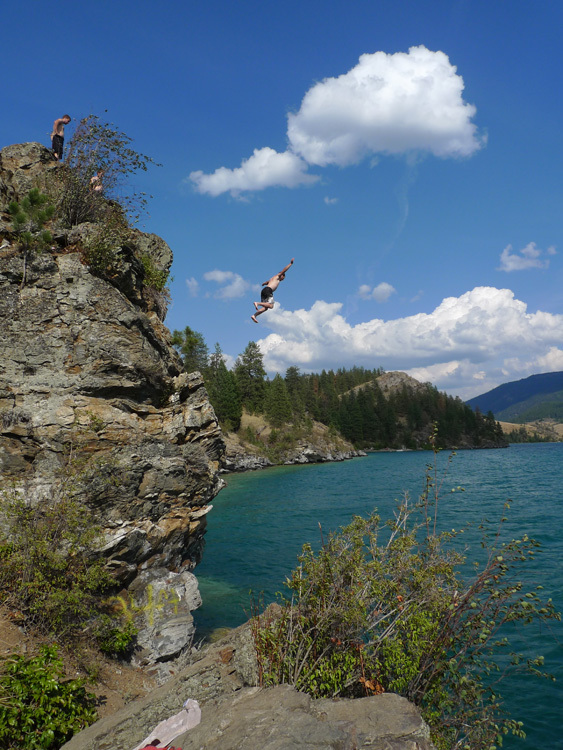 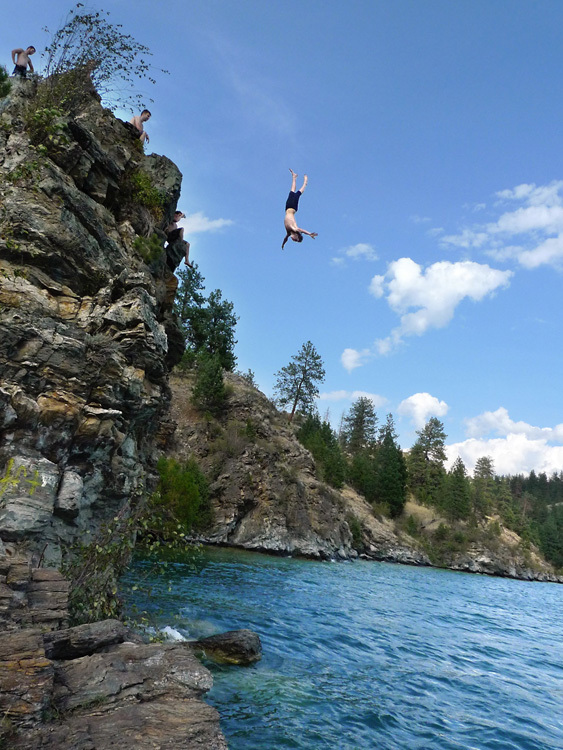 One afternoon, everybody took a break and we headed up to Coldstream, BC to jump off the cliffs. 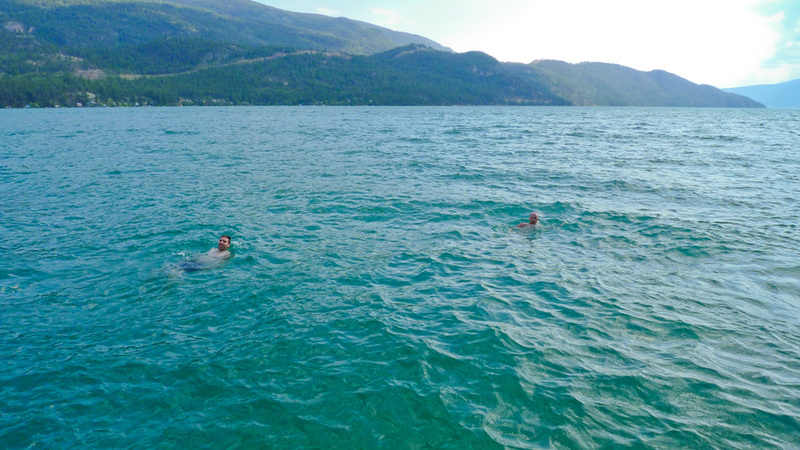 Good fun. 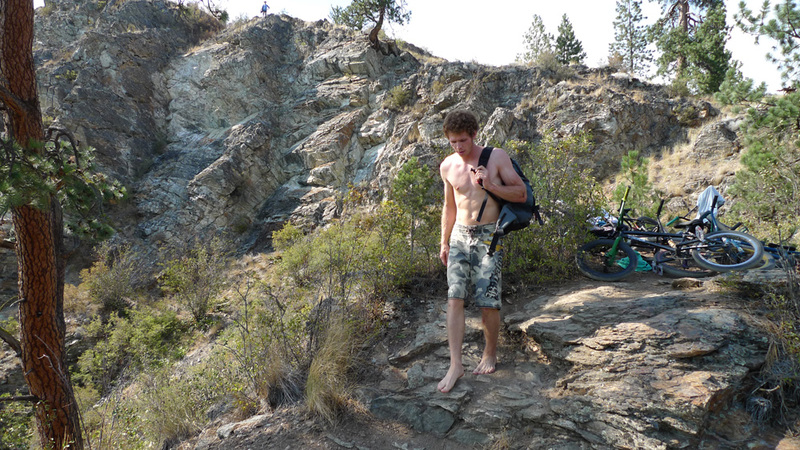 That is until I wiped out on the trail on the way out and scraped up my knee pretty good, putting an end to any more riding, and fun in the water going down that week.